The Batchelor Prize is presented once every four years at the International Congress of Theoretical and Applied Mechanics (ICTAM), the next occasion being in Milan in August 2020. The prize winner will be announced late in 2019. The Prize of $25,000 is awarded to a single scientist, for outstanding research in fluid dynamics. The research so recognised by the Prize shall normally have been published during the ten-year period prior to the announcement of the award (i.e. during the period 2009-present). The intention is thus that younger researchers should be as eligible for consideration as those who are more established, and that the work should be of great current interest (representing, for example, an emerging field of application of fluid mechanics or a significant breakthrough in an established branch of the subject). The Prize winner will be determined by a small committee whose members are internationally distinguished in fluid mechanics. 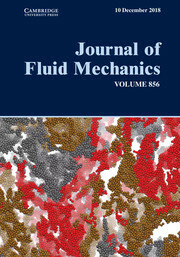 It is expected that the Prize winner will deliver a lecture at ICTAM 2020 and that this lecture will also be published in the Journal of Fluid Mechanics and be made freely available on the Cambridge Journals website. The nomination should include a brief curriculum vitae of the candidate nominated. A list of his/her publications during the period 2009-present with up to 10 of particular distinction being marked by an asterisk (there is no requirement that the research was published in the Journal of Fluid Mechanics). A brief (one page) statement of the case for making the award. To submit a nomination, please email jfmprize@cambridge.org with the above information. The deadline for nominations is 31st May 2019. All nominations must be in English. The decision of the Committee shall be final. Previous winners are not eligible.